Interface languages: English, Spanish, German, French, Russian, Dutch, Swedish, Italian, Portuguese, Czech, Japanese, Chinese, Korean. Enabling programs is the most frequent and resource-intensive operation for PC. If you need an HTML converter that doesn't overload your system, try Total HTML Converter. 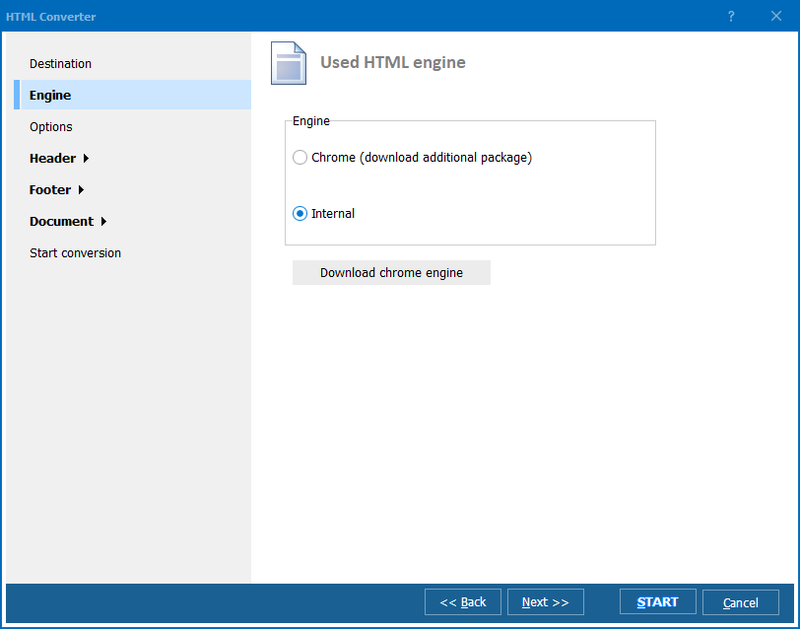 This utility offers convert HTML command line mode, when it is enabled within standard Windows command, with no need to spend time and resources on handling conversions via graphic user interface. Render separately text and image content of HTML files when converting them to PDF, XLS, JPG, TIFF, TXTW or RTF. Additional convert HTML command line parameters allow you to delete originals after conversion, set specific paper format, compression type and other advanced options. 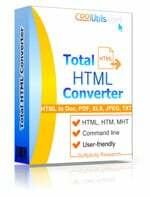 You can get Total HTML Converter right now using Download button. You will get a free trial that you can upgrade to licensed whenever you need.